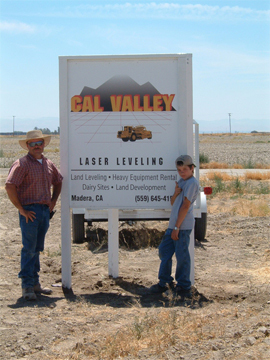 Established by Shelley and John Avila in 1988, both coming from families that serviced the agriculture and construction industries; Shelley's family a local Fresno aggregate manufacturer where she started working at a young age, and John at a very young age moving dirt under the supervision of his father, serviced farm communities from Bakersfield to Merced, giving both Shelley and John a deep understanding of what is needed and what it takes to get the job done. John is a hands on field operations manager that will still run the equipment, if he feels that what is takes to get the job done. With his eye on the details and his desire to be the best, John will stay with the crews until he feels the work is at a level that he is comfortable with. 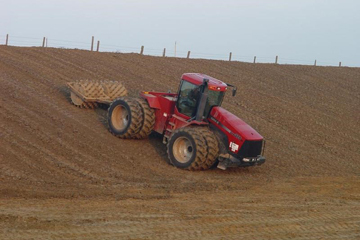 From pond construction, land leveling, and dairy construction, Cal Valley will not only build it for you, but can assist you in the design, and pricing, to help you determine what is needed for your operation.